When I met two other Melbourne FC tragic I knew we would hit it off! OK...so maybe Phil is the Diehard Dee but Nikki did vow to support them from this point onwards. 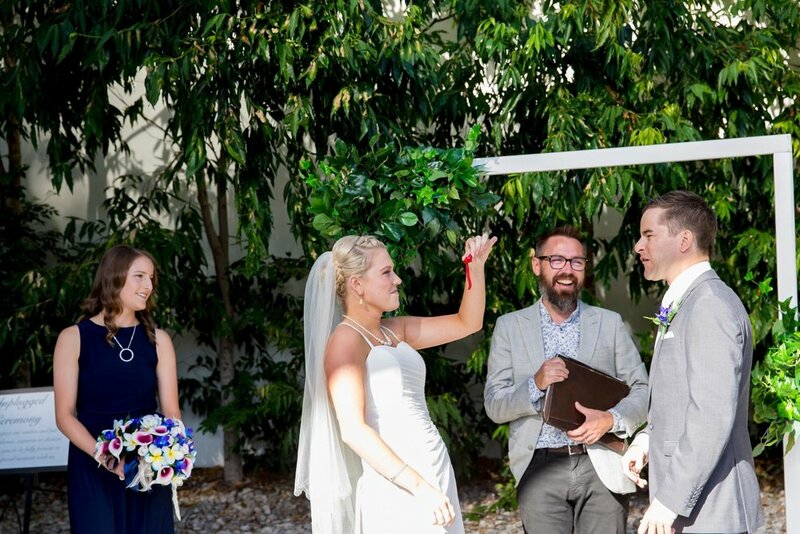 How much fun is it too when a couple include a Lolly-Snake tying comp as part of their vows...looks like Nikki won too! Wow! 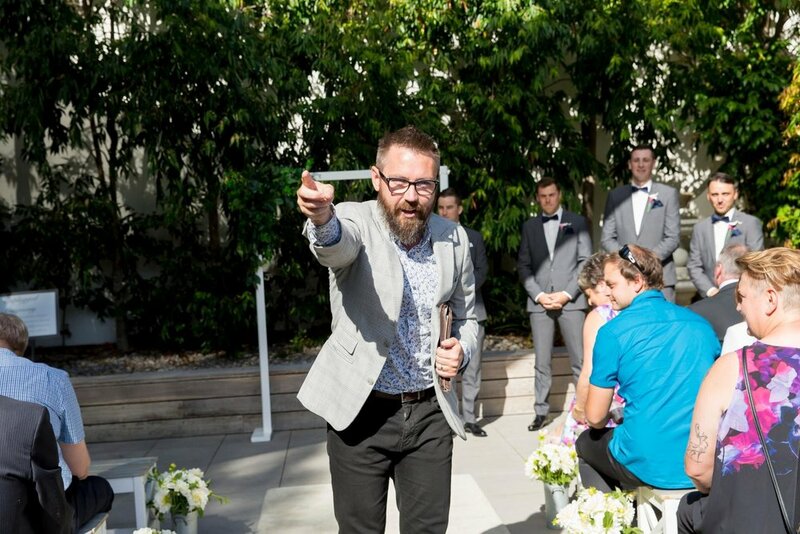 When we first met Anthony we knew he was the perfect celebrant for us. He has made this whole journey easy and we loved how he told our story in front of our family and friends. We got so many compliments from guests that he made everything so fun and it’s a ceremony they will remember for a long time.